In my last post I mentioned that my fiancé and I are getting married in less than five months. Wedding planning is going very well. In fact we are ahead of schedule. In addition to the church, venue, dress, our photographer, cinematographer, transportation, hair and makeup artists have also been booked. What is left are the smaller details like invitations, flowers, packaging for the wedding favours and a few other things. One thing we haven’t finalized yet is where we will go on our honeymoon. I know that the main reason why we haven’t decided on a honeymoon destination is because we’re actually going to go next year. We have six other weddings in addition to ours this year and we just don’t have the time. But perhaps another reason why we’re procrastinating with this decision is because we both love to travel, so to choose just one destination or two for our honeymoon is proving to be an impossible task. Some possible locations we have discussed are Greece, Saint Lucia, Venice, Tuscany, Monaco and the south of France. 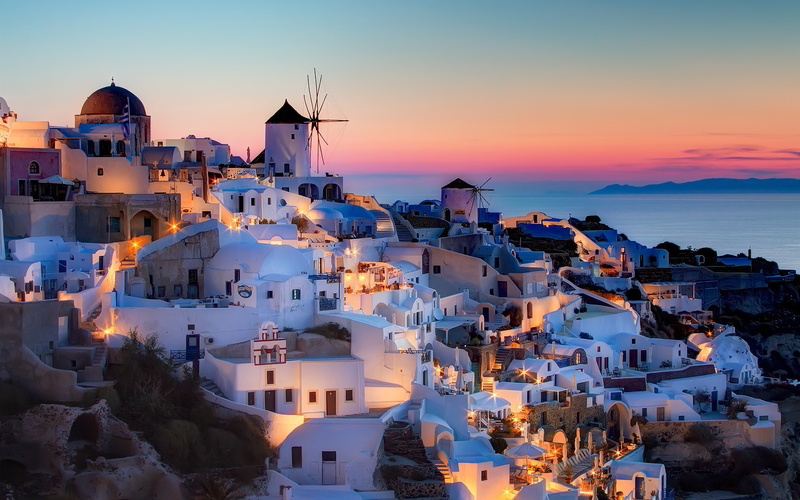 I’ve always wanted to see the Greek Islands (Santorini in particular). The white sculptured villages nestled among the cliffs with the deep blue sea below is just paradise. 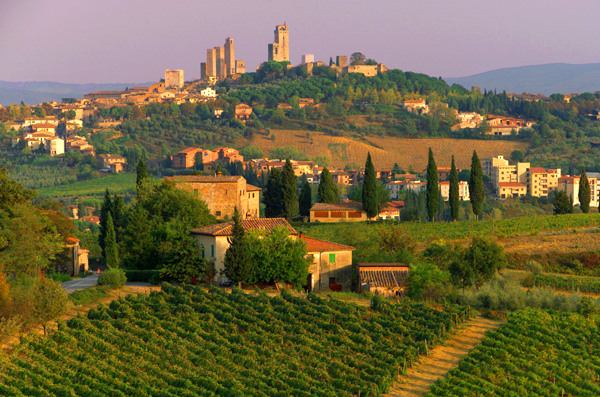 Ah Tuscany–many people would think there’s not much to do there. But renting a bicycle and exploring the villages in Chianti and tasting great Tuscan wines sounds like my idea of a relaxing honeymoon. I believe the next honeymoon destination is also my fiancé’s idea. All I have to say is Monaco=Formula 1. 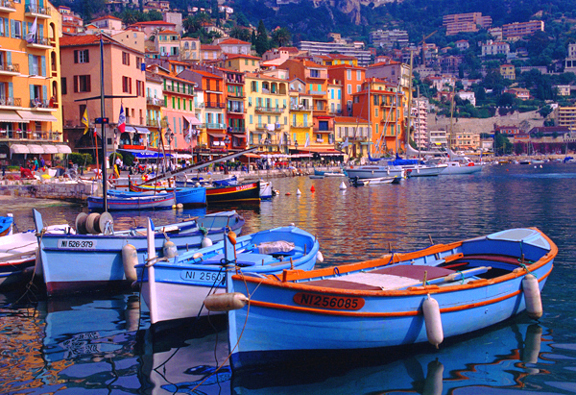 Lastly, the south of France (Provence & the Côte d’Azur) seems to have everything we’re looking for; white sand beaches, sunny weather, historic sites, stone villages, and amazing french wine. Well, it might be a while before we finally decide where to go, but it’ll definitely be a trip worth writing about. Well well look what I found at the back of my closet. It’s a bittersweet reunion with my running shoes. On the one hand I’m glad to see the paths peaking through the melting snow; yet another reminder that warmer days are coming. But on the other hand its a daunting reminder that our wedding is only 157 days away! We’re in full wedding planning mode and I’m super thrilled. But as for my workout/diet regiment, well that is non-existent. 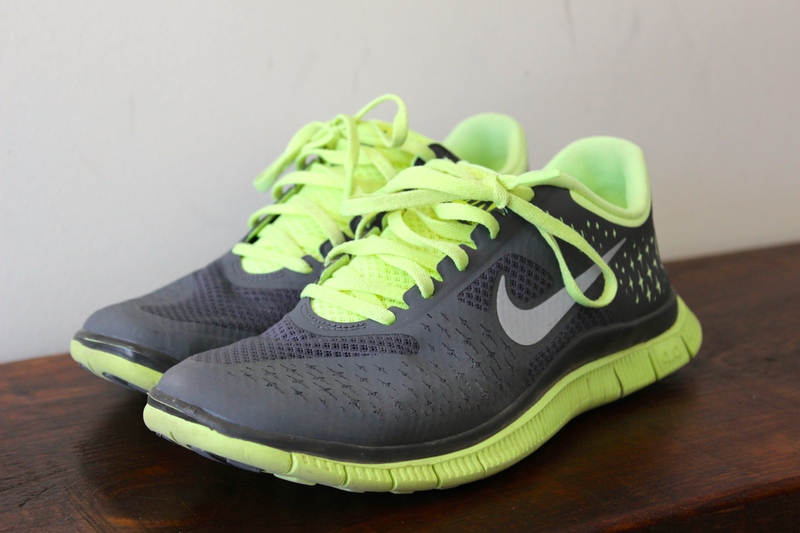 They say “there’s no time like the present” so I suppose today’s a good day as any to put these on and go for a run. To speed up the getting in shape process I’ve also decided to clean up my eating habits. I wouldn’t say I’m an unhealthy eater, but I will admit that I often make poor snack choices. 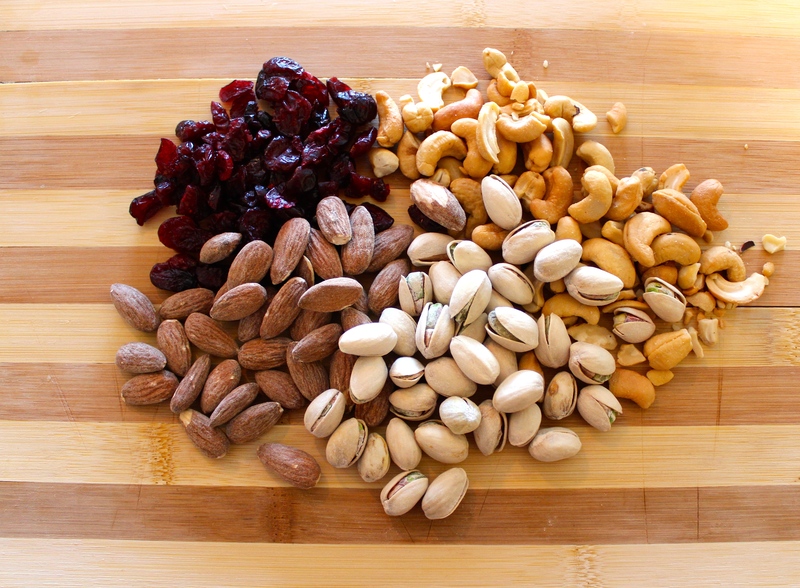 So instead of snacking on anything chocolate, I’ve stocked our pantry with nuts and dried fruit (cranberries, almonds, pistachios, and cashews are some of my favourite). I have always loved water! I just need to make a habit to drink more of it. I started juicing a while back and loved the idea of getting all your vitamins in one glass. The prepping is easy too. Often time you don’t even need to peel the fruits or vegetables–just a good clean will do. 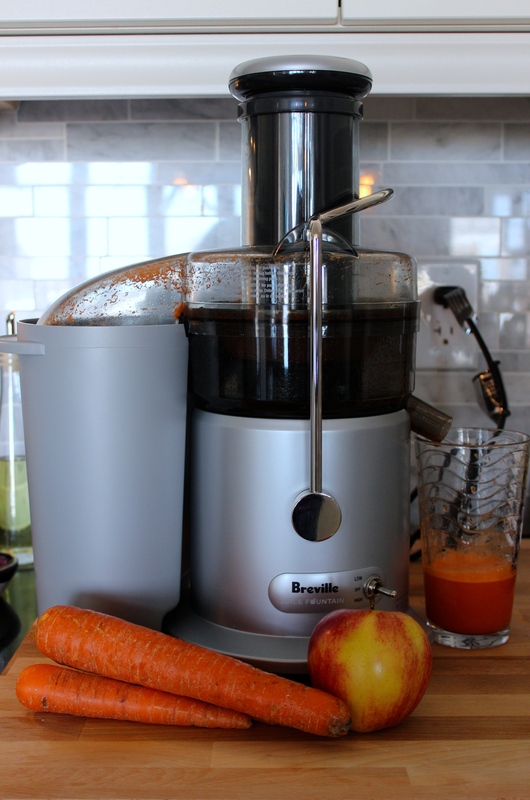 The extra wide feeder tube on this Breville is great for juicing whole apples! My favourite juice to make is with 2 carrots, 1 granny smith apple and half a raw red beet. Greek salad is probably one of my favourite lunch or dinner meals. There’s something about the fresh crunch of a cucumber and ripe tomato mixed with salty feta cheese and drizzled with a good quality olive oil and vinegar that I can’t resist. Simple changes can go a long way…so lets see how this goes.